Chicago has earned its nickname of “The Windy City” for good reason. When you live in Chicago, chances are that you will encounter very windy weather conditions throughout many seasons of the year. If you are starting to get tired of the feeling of wind blowing up the sleeves of your fur, you may want to hire a furrier that offers fur remodeling in Chicago to add windbreakers to your piece. Whether you have a long fur coat or a short fur jacket, windbreakers will make the perfect accompaniment to your fur garment. During a windbreaker installation, your furrier will use premium materials to seal off the sleeves of your fur. Windbreakers can be tailored to the dimensions of many different types of fur coats, so you will be able to create a custom windbreaker installation that is paired perfectly to your current coat’s style and colors. Your furrier can answer any questions that you may have about adding windbreakers to your current fur. Fur coats make fantastic additions to any stylish wardrobe. 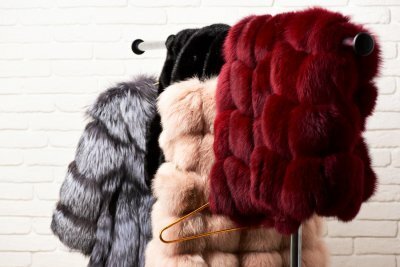 When you are shopping for a fur that is classic, timeless, and elegant, you may want to consider purchasing a new fur coat from a retailer that specializes in Chicago furs . During the fur buying process, you may have the option of purchasing a full-length fur or a short coat. The length of your fur will directly impact how you look and feel when you are wearing your new piece. Here is a look at some factors that will help you decide between a long or short fur. Residents of the Chicago area are all too familiar with the snowy, windy, and freezing conditions that are typical during the winter season. If you find yourself getting very chilly when you step outside on a winter’s day, it may be a good idea to invest in a long fur coat. Since a long fur will cover you from head to toe, it will provide you with an important layer of protection when outdoor weather conditions become harsh. Luxury furs can be mixed and matched with many other pieces in your current wardrobe. In order to decide between a long or short fur, you may want to take a look at some of the other pieces that you will plan on wearing with your new fur garment. If you tend to dress in a casual style, a short fur may be the right choice for you. If you are having trouble deciding between a long or short fur, you may want to consider purchasing a fur that can be transformed to suit your mood for the day. A long fur with a zip off feature can be transformed into a short jacket in seconds. Purchasing a zip off piece will allow you to wear your new fur in many different settings and weather conditions.